Concert for a Cause | Bland & Associates, P.C. Who likes music, charity and golf? 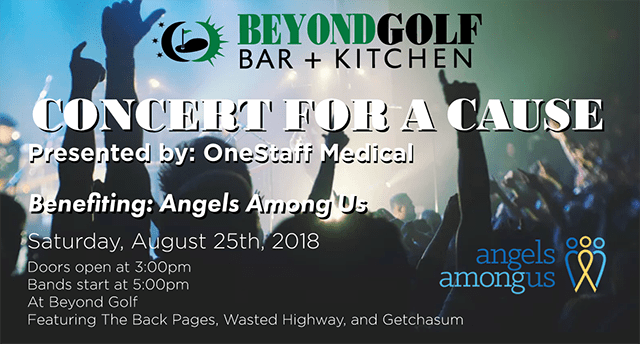 Join us, Saturday, August 25th at Beyond Golf Bar + Kitchen for an evening of live music to support our friends at Angels Among Us. Get your Early Bird tickets now for $10 before they go up!